Lightweight 1-bolt clamping and Monocoque carbon construction make for a high performance seat post. Patented SideBinder clamp design uses a single 5mm bolt for quick secure adjustment. Precision forged alloy clamp assembly for strength with low-profile head for optimal saddle clearance and sleek lines. The wide saddle clamp reduces stress on lightweight saddle rails whilst the interchangeable clamp provides compatibility for all popular rail sizes. 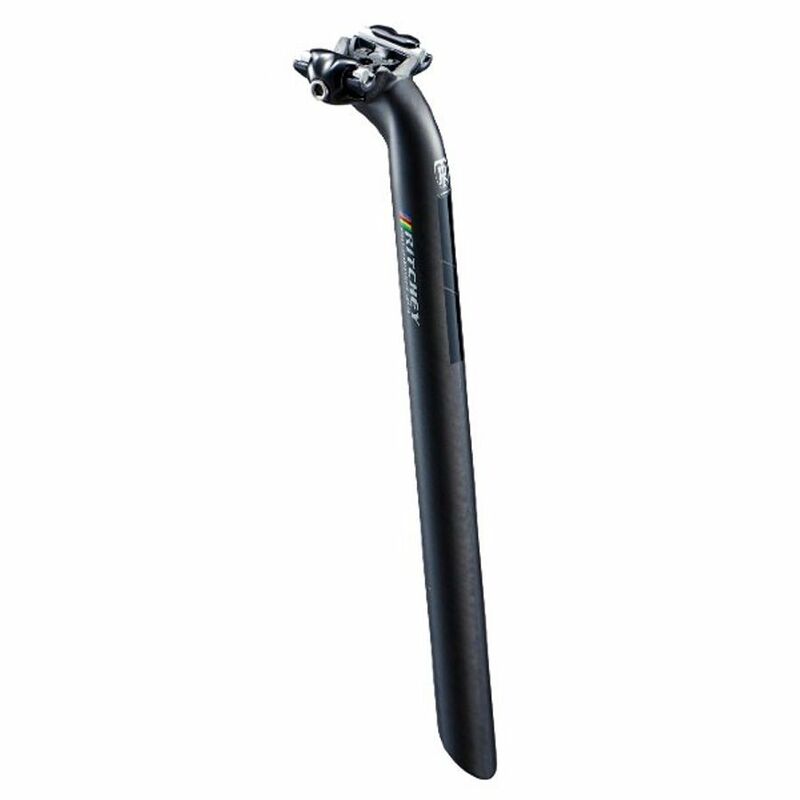 Please see below for delivery options for Ritchey Carbon Wcs Seat Post One Bolt 30.9 Diameter 300mm 25mm Offset.